You know, it wasn’t too awfully long ago companies made offerings to entice customers new and old to purchase their product. Duz Detergent and their free glasses, jelly jars used as table glasses, and many,many more. 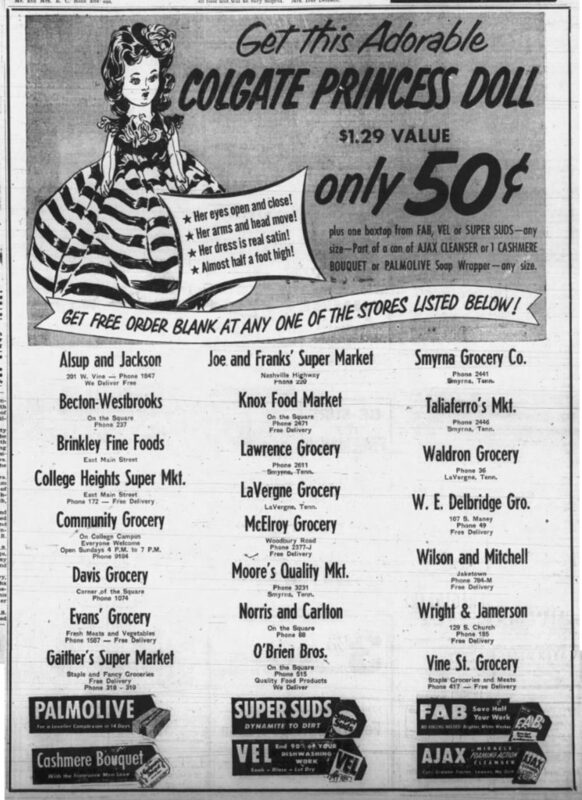 Look at all the locally owned grocers once located in Murfreesboro!